Andrew Moloney scored an 8th round TKO win over Miguel Gonzalez. 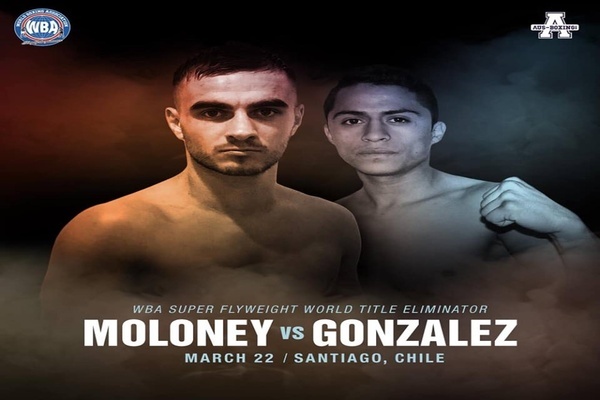 Moloney decked Gonzalez with a left hook, and shortly afterwards the fight was stopped. It was a great finish. The Moloney brothers bringing credibility back to Australian boxing. Impressive win, Andrew has gone further than I anticipated, great stuff and good luck to Team Maloney. A couple of years ago I predicted the Bella brothers and Cam Eyes would go further than the Maloney brothers, I’m obviously left with egg on my face here with that prediction but I’m wrapped that the Maloney boys are doing so well. They have clearly been More successful at converting their amateur style across to a style more suited to the pro ranks. The finish is on local news, have a look on news.com in the sports section. You’re a former Melbournite little guy pro, aren’t you, did you ever do any work with either of the Maloney twins? Nah mate, you're thinking of someone else. I've never boxed pro, was bang on average for an amatuer and never lived in Melbourne haha. It was a good finish. They were both attacking the other to the body relentlessly. The difference was Moloney was mixing it up with some head shots, and then one of them landed flush and ended it.